For some of us, the midday slump is so reliable that we could set our watches to it. Each day, without fail, the same symptoms show up. 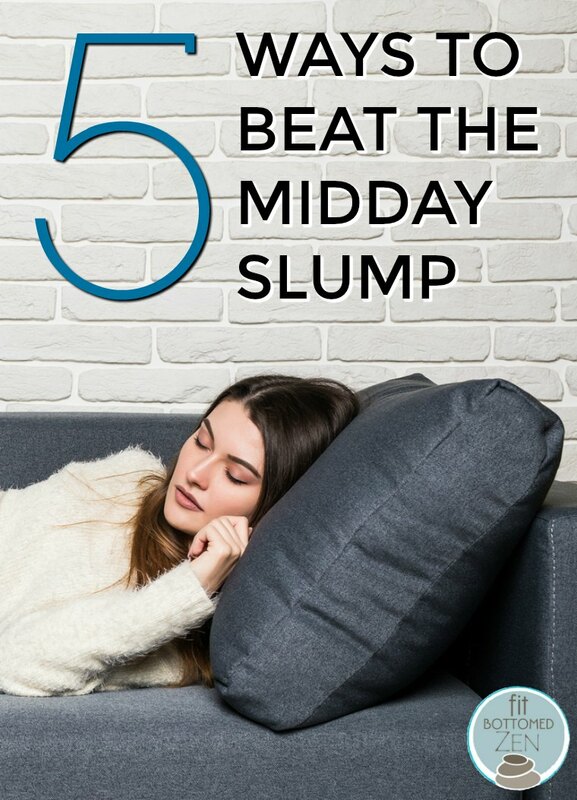 From heavy eyelids to sluggish body language to that undeniable urge to drop everything and lie down, our afternoons become a battleground between staying alert and needing to crash. Many turn to caffeine for a quick pick-up, but if you have trouble sleeping at night, an afternoon cup of java will only make your insomnia worse. Also, the come-down from caffeine can have its own ramifications including headaches and an upset stomach. If you prefer a healthier midday perk, read on! 1. Connect with a friend. Socializing with a loved one will lift your spirit and engage your heart, two things that will pull you out of a slump. Try scheduling a late lunch with your friend so you can power through your morning productivity, and then reset your energy with an afternoon catch-up session. 2. Schedule in something fun. If none of your friends are around, don’t let that get you down. Sign up for a high-adrenaline activity, like the flying trapeze, to get the blood flowing. Or give yourself permission to geek out on funny cat videos for 10 or 15 minutes when you’re usually struggling to keep your eyes open. The key is to turn to something that takes you out of your regular routine, and into an activity that ignites your nervous system. 3. Use citrus essential oils. A refreshing blend of orange or lemon could be the perfect recipe to reinvigorate your senses. Try rubbing a few drops on your wrists in the afternoon, or place some in a diffuser and let the scent permeate the air. You’ll not only feel more alert, you’ll also smell pretty. 4. Have a 5-minute dance party. It’s well proven that exercise invigorates the body, but not everyone has the time for a full class midday. That’s when a 5-minute dance party comes into play. Crank up the music to your favorite song and jam out for its entirety. If you’re feeling inspired, do this for two rounds. This will get your heart rate going while adding a pep to your step. 5. Take a nap. If your schedule allows, a cat nap has been proven to fully recharge the system in a short period of time. Make sure to set your alarm for 20 to 30 minutes so you don’t snooze the afternoon away. When you wake up you’ll feel refreshed and ready to get back into your day. I have a desk job, so when the afternoon slump hits, I usually get up and take a walk around the building (inside or out, depending on the weather). If I can take a few other employees with me, all the better. I like all of your suggestions, though, so I may have to mix it up with some of them. Thanks Elysha!